What can we expect from the Dot Matrix Printer Market in the future? Since Dot Matrix Printers were first invented in 1925 as a dot matrix-based tele-typewriter device from Rudolf Hell, they have been evolving a lot in terms of design and uses. In the seventies and the eighties, the dot matrix printers even experienced a boom in terms of sales. The arrival of inkjet printers might seem like a disadvantage for them but the truth is that dot matrix printers are still relevant and useful in certain markets, mainly because of their facility to print carbon-copies, use continuous paper and be less expensive than other printers to maintain. Some business find all these characteristics appealing. So, what can we say about the dot matrix printer market? The truth is that despite all the awesome new technologies, they still continue to flourish. And we can expect a natural growth in the market in the years to come, especially when it comes to drafts or statistical reports. It is true that impact printers will have to share the market with non-impact printing technologies, but they’re going strong. In fact, dot matrix printers represent at least 50% of all the print sales. Where can you still find dot matrix printers in your daily life? You see them in cash registers, ATMs or bank tellers, car dealerships, car parts stores, rental car companies, hospitals, and in airports, among many others, and in the future, we will still count on them for these applications. Dot matrix printers will remain some of the most versatile printers when it comes to business solutions as long as inkjets and laser printers are not able to make carbon copies like dot matrix printers do. They might print lower resolution graphics but when it comes to overall expense, including maintenance, they are still a better value than these other printers. As long as they remain efficient and cost effective, they have their future quite ensured. 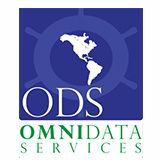 At ODS, we are known for our superior service, high quality products, competitive pricing and short lead times. We ship worldwide. Contact us for more information on our dot matrix printer solutions for your company.